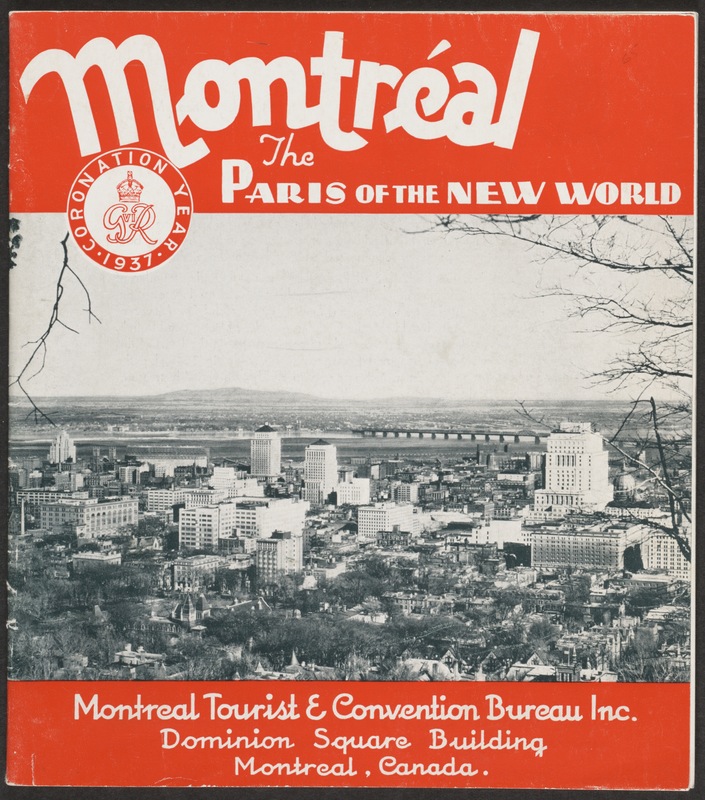 Digitization at the McGill library is provided as a research service so it’s always a pleasure to see our work in scholarly publications. 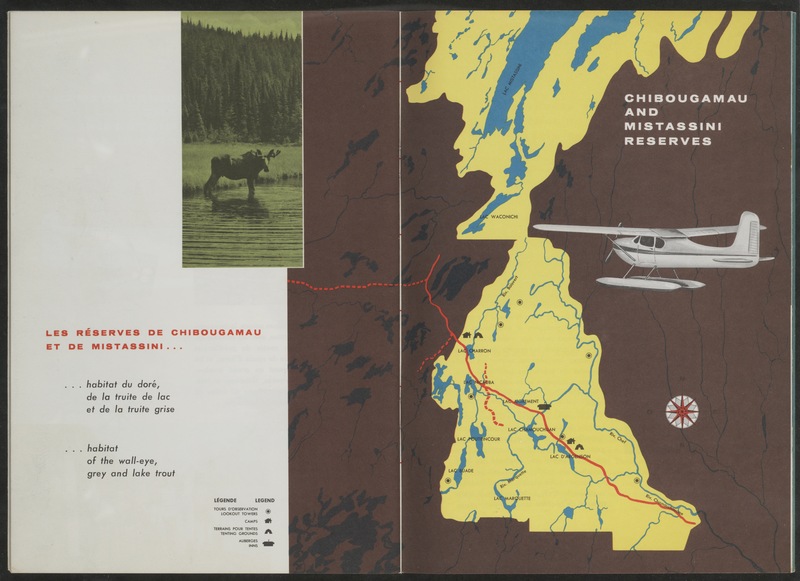 Recently a special collaboration between the Rare Books and Special Collections librarian Ann Marie Holland and our own digitization administrator Jennifer Innes helped get over 20 images from our collection into the beautifully illustrated Destination Québec: Une histoire illustrée du tourisme by Marc H Choko, Michèle Lefebvre & Danielle Léger. To give you a peak at some of our contributions I’ve posted a small subset but it’s worth picking up the book for the almost 350 images they have pulled together from diverse collections. All originals are available for consultation from Rare Books and Special Collections reading room during regular opening hours. 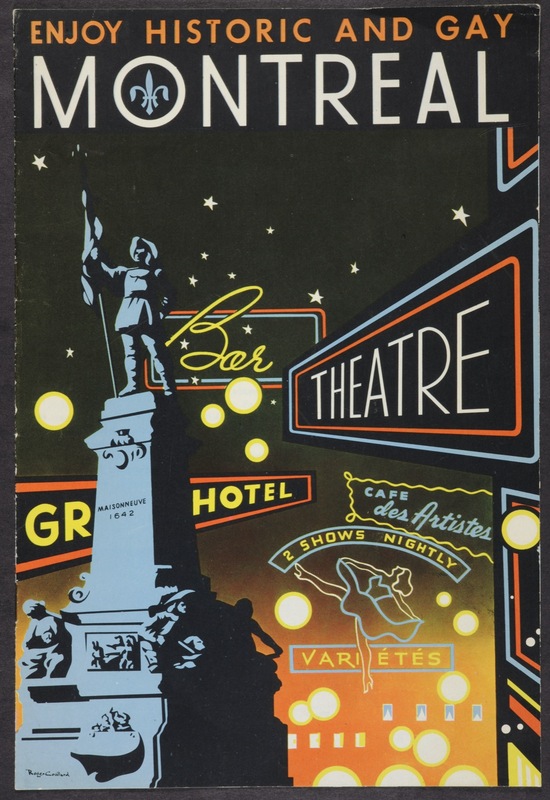 Front cover of ‘Enjoy historic and gay Montreal’ pamphlet published by the Montreal Tourist & Convention Bureau in the 1950s. Rare Books/Special Collections – McLennan Bldg, 4th floor. Uncat 0461. 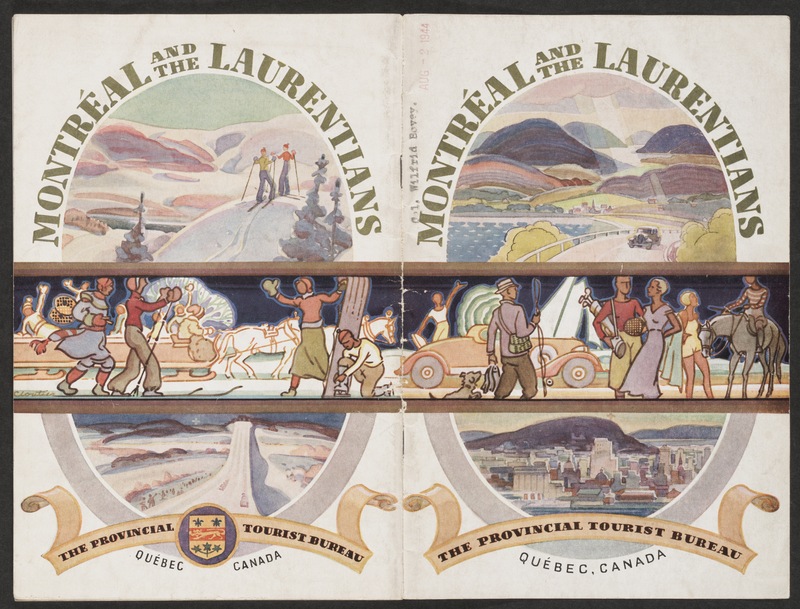 Page 2-3 of La province de Québec: Parcs et réserves = parks and reserves. (1962). Québec: Office du tourisme. Rare Books/Special Collections – McLennan Bldg, 4th floor. Uncat 0504. 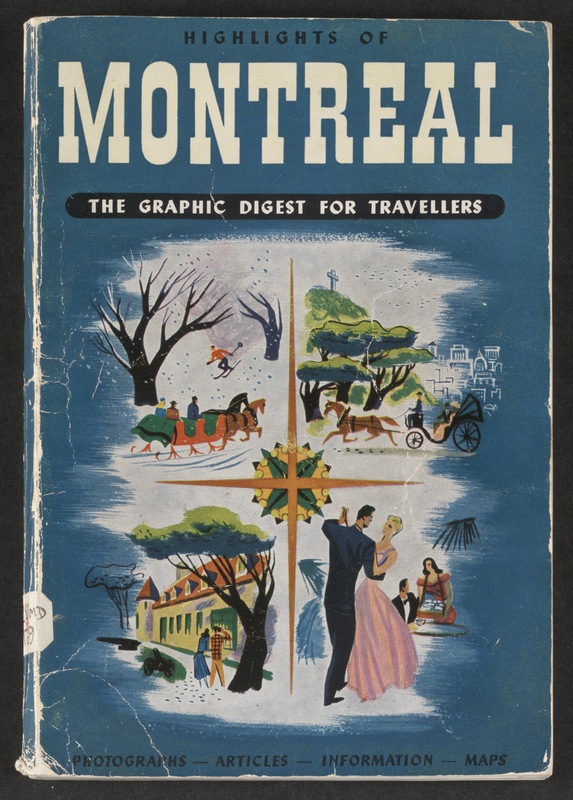 Cover of Montréal and the Laurentians. (1935). Québec (Province). Rare Books/Special Collections – McLennan Bldg, 4th floor. Uncat 0454. 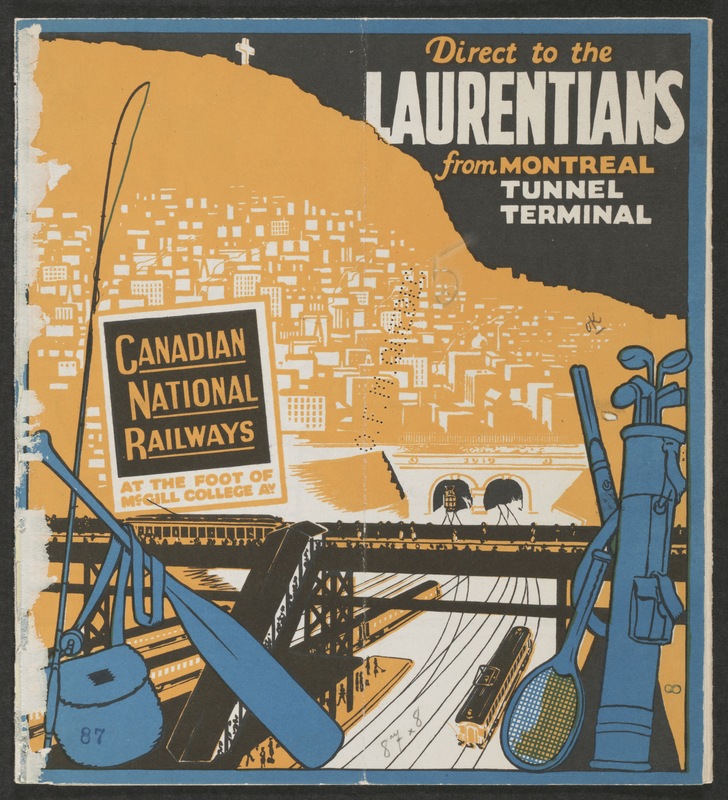 Cover of Direct to the Laurentians from Montreal tunnel terminal. (1926). 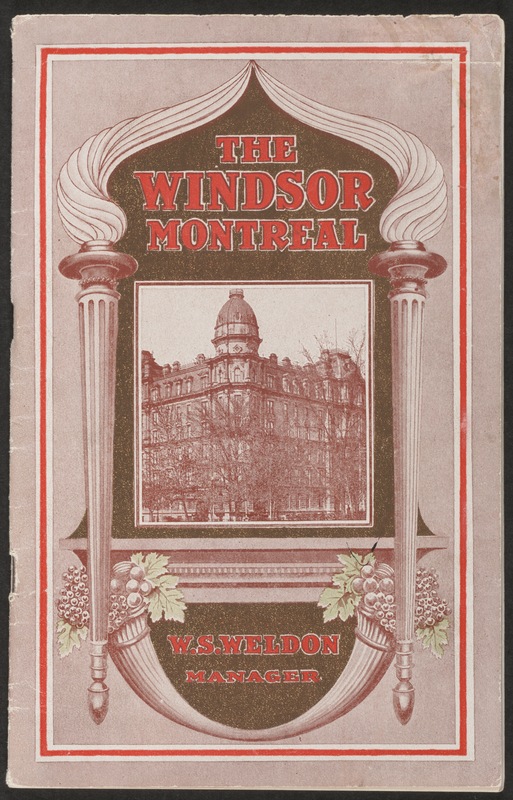 Montreal: Canadian National Railways. Rare Books/Special Collections – McLennan Bldg, 4th floor. Uncat 0480.